The New York Propane Gas Association is reminding propane users that heavy ice and snow buildup can affect your tank and could lead to dangerous situations. Check your tanks now if you are not on automatic delivery. It may take a few days for fuel to be delivered. During and after a winter storm, roads may be inaccessible for delivery. Keep path to propane tanks clear as the storm progresses. Ensure that there is always a clear path to your tank for deliveries, including the filler pipe. Mark the tank and fill location, and inform snow plow drivers or contractors of your propane tank location. Clear snow and ice from around your propane tank, chimneys, flue pipes and vents. Use a broom rather than a shovel, and clear these areas frequently to reduce the possibility of carbon monoxide poisoning. If pipes freeze and crack, gas can leak out and cause potential danger. Check your propane tank, chimneys, flue pipes and vents for damage, blockage, or debris, including snow or ice. Do not attempt repairs yourself. Call your propane dealer for assistance. Use extreme caution when operating portable generators. Never use a portable generator (gasoline, diesel, or propane) indoors or in enclosed areas. Improper use of generators can result in carbon monoxide poisoning or death. They also say if you cannot reach your supplier by phone, check their website to determine if there are other ways to contact them. Make Hank Hill proud by taking proper care of your propane tanks during Winter Storm Harper. 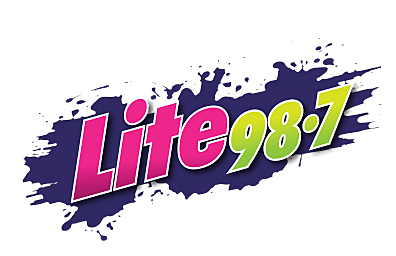 * Download the Lite 98.7 app. You’ll receive local alerts, weather reports and more with push notification.